Lisa Marie is an experienced litigator who counsels insurers, corporations and individuals on matters across the spectrum of insurance law including first and third-party exposure and management of complex tort claims. Lisa Marie routinely conducts examinations for discovery, contested motions, mediations and pre-trials in multi-party disputes and serves as a trusted advisor to clients in areas of risk evaluation, mitigation and strategy. Lisa Marie has appeared regularly before the Ontario Superior Court and has acted as counsel in jury and non-jury trials. 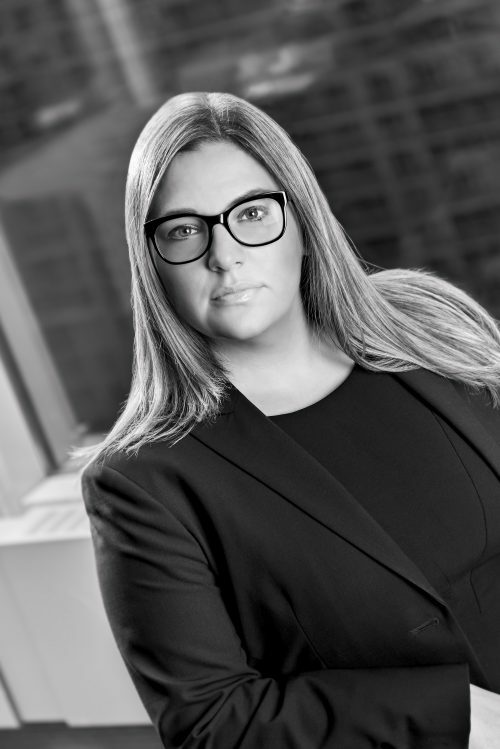 She gained valuable experience from two of Canada’s leading plaintiff firms before transitioning to defence work. Lisa Marie is fluent in Italian. Lisa Marie received her undergraduate degree from York University in English and Political Science in 2003. She obtained her law degree from the University of Windsor in 2006 and was called to the Ontario Bar in 2007.